Hello lovelies, how are we all? I’m going to start by apologising in case this post is a big ol’ shambles. The photos aren’t the best in the world but this is my first outfit post so be a darling and let me off just this once please! 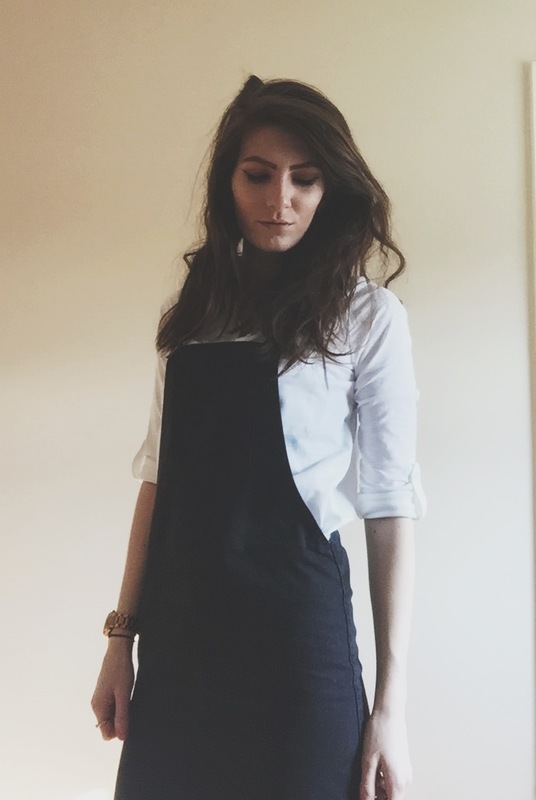 I recently picked up this dungaree dress that featured in my recent haul which I absolutely adore and thought I’d show you lovely lot how I chose to style it. I chose to team with a white shirt that I got from Next a few months ago, back in the days of 25% discount (ahh I miss you my dear old friend). I went for this look as I was wearing it to work so wanted to give it a formal edge. There’s quite a few things you could pair this beauty with though, my recommendations would be a black and white stripe top or a cream polo neck. 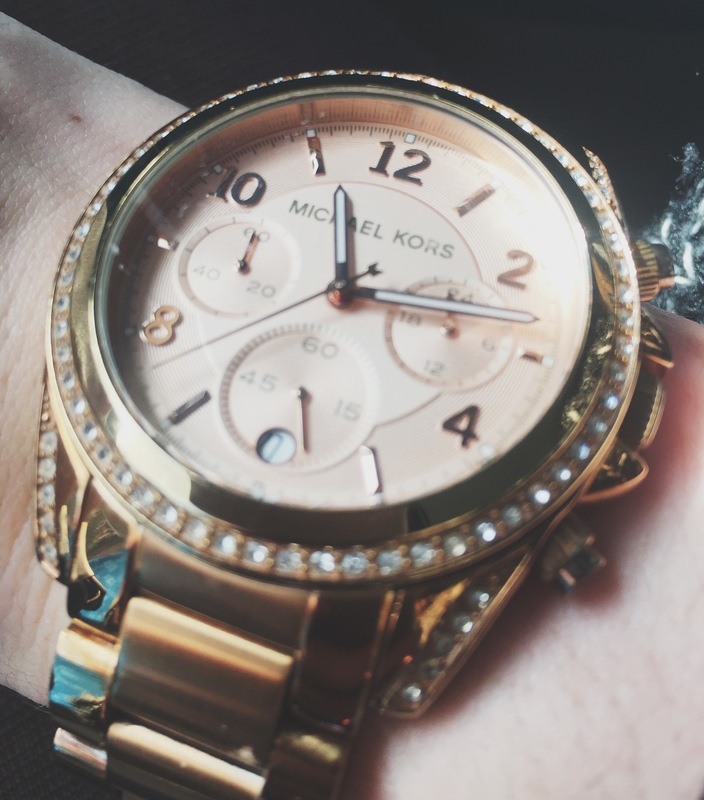 For accessories I kept it very simple with my go to everyday accessories, a few rings, the same necklace I’ve worn everyday for 2 years – my brother got it for me for my 18th, and my Michael Kors watch which was also gifted to me by my brother for my 18th birthday. Make up wise I chose to go for a pretty simple look, with the focus being orange lipstick. My go to look when I’m feeling lazy is winged liner and a bright lip, it never fails for me. 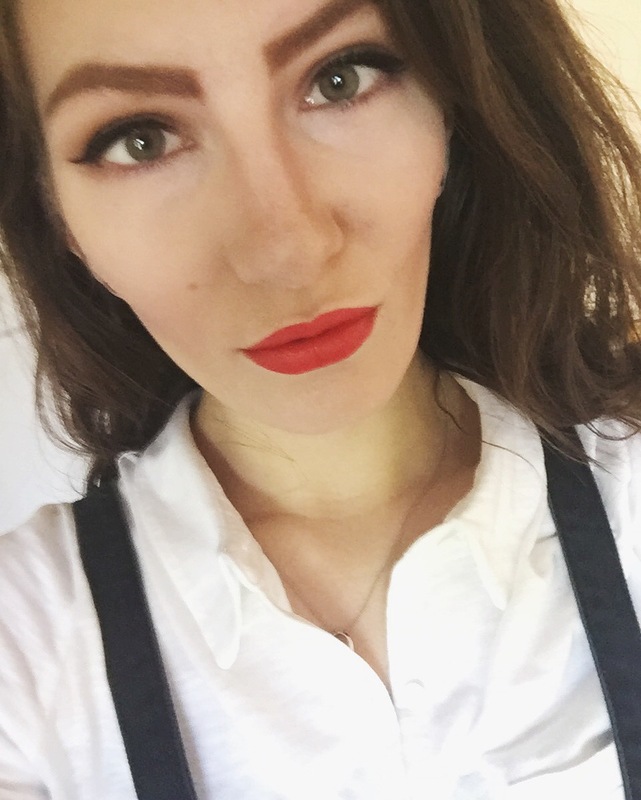 This lipstick was added after the above photo and I was just too lazy to retake the picture of the outfit, apologies for being useless! Eek that’s a big picture of my face… If you do happen to be interested then the lipstick I’m wearing is Borjouis Rouge Edition in shade 10. How would you style the dress? Do you think the shirt was a good choice or not? Let me know down below!